Debbie grew up and currently resides in Churchville, NY with her husband Frank. She has two sons and four grandchildren who she adores. 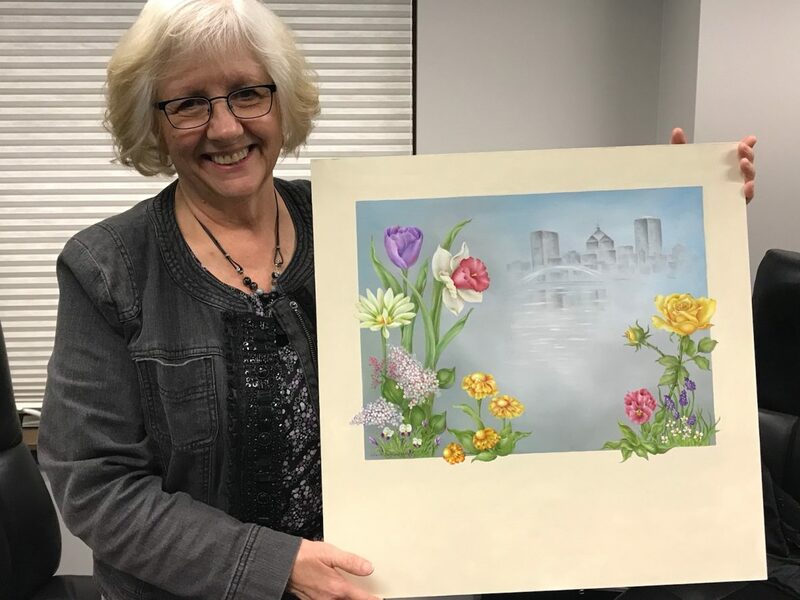 As a member of the Society of Decorative Painters and its local chapters for over 30 years, Debbie was focused in her studies on achieving the title of Certified Decorative Artist and teaches throughout the United States at conventions and seminars. The support of all painting friends through this organization has been instrumental in all of her accomplishments. Several art awards are credited to her concentrated efforts to expanding her knowledge of the arts. Although Debbie particularly enjoys the medium of oils when creating floral compositions, every aspect of painting techniques and mediums intrigues her senses. Currently, Debbie enjoys her presidency of the Chili Arts Group in Chili, NY. CAQ has been in existence for over 40 years and meets in the chili Sr. Center bi-monthly. They enjoy the talents of many local artists as speakers at their meetings., and members exhibit their artwork at their own Chili Art Show in spring and Barnes and Noble in fall.